Lieutenant Ken Cook, EMT-B, began his career at LifeCare Medical Transports in 2013, and was quickly recognized by his supervisor as a born leader. 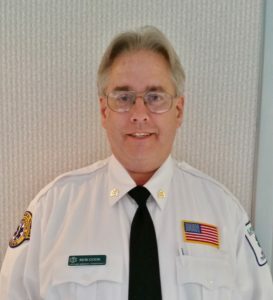 Initially promoted to Sergeant of LifeCare’s Salem/Roanoke, Virginia station, Ken was again promoted to Lieutenant in 2015. Now, Ken is the operational supervisor for LifeCare’s entire Southwest Virginia region. Ken’s employees appreciate his 24/7 availability and “can-do” attitude. There is no job too big or too small for Ken, in fact, Ken can frequently be found behind the wheel of a wheelchair van to ensure that all transports in his region, no matter the level of acuity, are handled in a timely manner. With a large geographic region to manage, Ken travels each week between his stations to ensure all of his employees have the tools they need to do the best job possible, and that all company policies and expectations are being met or exceeded. Ken is a well-respected representative of LifeCare at the facilities served in his region. Ken has worked hard to dramatically increase business, and rally the necessary resources to handle the huge workload that the region demands. Ken is calm and unassuming; however his background and training tell another story. Ken received his Bachelor’s degree in Health Science from Penn State, and his Master’s degree from the Medical College of Virginia in Health Administration. Ken puts his education to use on a daily basis as he works to ensure all details are addressed while at the same time, still remaining focused on the big picture. Ken’s commitment to excellence in clinical care and customer service are exceptional. Ken’s high standards set the bar for his employees to follow, and his hard work, calm, and professional leadership, are the reason his employees choose to follow.